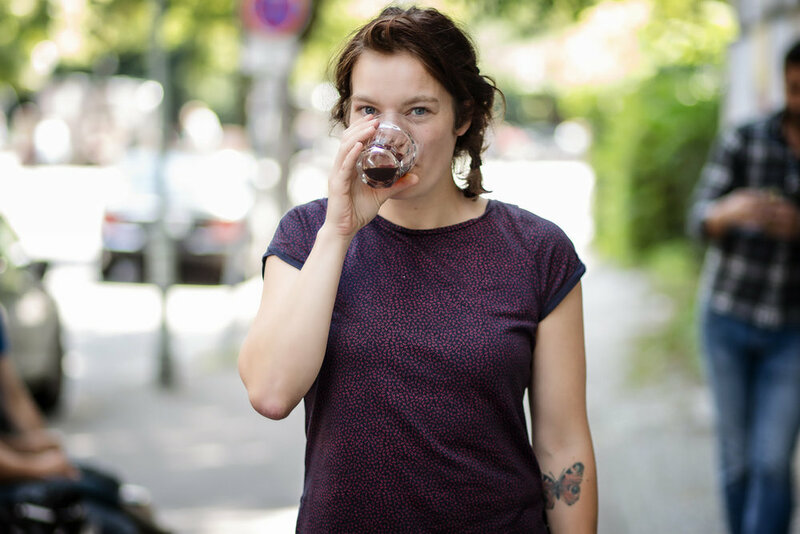 Nicole is head barista at Röststätte and runner up at the German Barista Championship 2016. She has a fierce passion for competing and is constantly working on improving her skills. 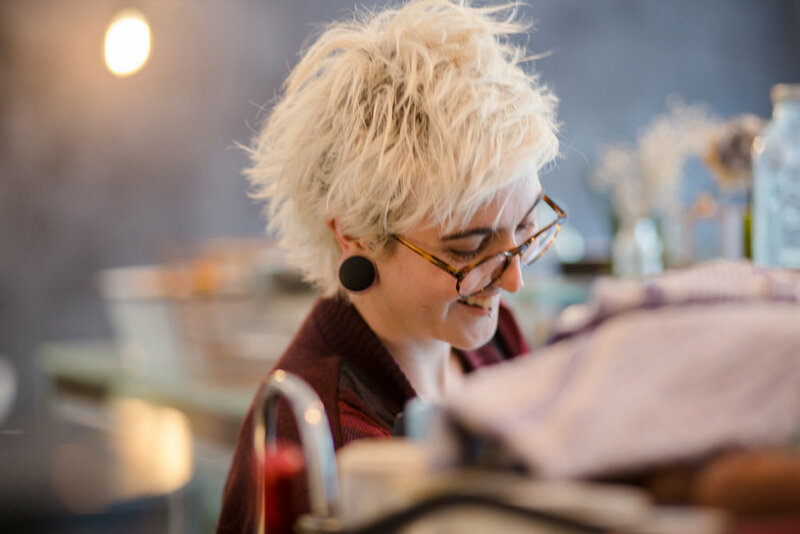 In our interview she talks about her preparation for competitions, her experience on stage and (spoiler alert) the female latte art throw down Röststätte is organizing in September this year. Nicole, how did you get into coffee? I started working in a small coffee shop in my hometown after I finished high school. It wasn’t specialty but it had a La Marzocco GB5. I trained myself in making coffee and taught myself latte art, which wasn’t common in my region and a 100km radius at all. Because I dedicated myself to something no one else did, people got interested and my network expanded. This allowed me to dive deeper into coffee. Currently, you are working at Röststätte. What are your main responsibilities? I am head of the bar, I am roasting and as I learned a lot about the espresso machines we sell I represent the Black Eagle and Victoria Arduino at conventions. I also give barista courses, basically teaching people how to use coffee machines, do latte art and trigger their interest in specialty coffee. Once I got more confident in the whole barista scene, I also started competing. What makes Röststätte unique? What’s the philosophy? I love the diversity! You can be like an octopus because of their concept to have a café, shop, roastery and barista school all under one roof. Röststätte operates on an extremely professional level and it allows its staff to make amazing connections. I want to do more stuff than working behind the bar, so it is the best place to do that. Also I get a lot of support from the owners. The first name that pops into my head is Erna Tosberg because she won the German championship twice and is now judging as well. She is the first female that I met and saw competing and she was the person that inspired me to compete as well. I’d also mention Nora Šmahelová because she is always a person I can go to as she is very supportive and helpful. You were runner up at the national barista championships 2016 in Germany. How did you prepare for the competition and what is it like to be on that stage? The preparation was all over the place because I had never done anything like it before. The owners of Röststätte and I formed a team and wanted to perform as professionally as possible. So I started watching all the videos of the last 10 years of competitors, even on an international scale. I observed routines, didactic and wanted to internalize the rules. It was extremely frustrating because a lot of the times I had no idea what I was doing. What helped me the most was other people coming in, seeing my routine and criticizing it. Great feedback was what made me improve every day. I never thought about getting sponsors before so that was a new opportunity I explored. Being on stage was amazing because I had done my routine so many times that it was kind of flowing. I felt super nervous but also very comfortable showing my product because I was confident about it. The feedback from people that saw me on stage and how supportive they were was overwhelming. I recommend everyone working in coffee to have this experience as you got absolutely nothing to lose. If you’re doing it for the first time people are not going to be hard on you. But this means for the coming years I'll have to do much better! That brings me to a question that is often discussed in the specialty coffee industry: the equal representation of gender in competitions. Any thoughts on why we see more men competing than women? I think a lot of women lack the confidence to stand up for what they believe in. And I think this is not just the case in coffee. As a women you go on stage and people are more likely to judge you than men. What I see at latte art throw downs is that women usually appear very quiet and end up surprising people. I think I am just the kind of person to put myself out there. In the past I had jobs where I had to work my way through and if I would have been shy to speak my mind I might not be where I am now. I had to push for everything I achieved, nobody came and handed things to me. It doesn’t come easy, you need to work hard for it! I am very determined in that way, if I have a goal I want to achieve I am not bothered by what somebody else might think. In terms of creating an equal work environment in the specialty coffee industry, how could it be achieved/what could be improved? If you speak to big companies I’ve noticed they particularly ask for a male barista to represent them. Especially at conventions I see women rather working as hostesses serving while men are running the counter. What could improve the situation is to keep on pushing for more and keep on aiming higher. Coffee is such a huge market and people sometimes don’t have a clear idea of how they could fit in. I see especially that women are not always aware of all the opportunities this industry presents. Wholesale for coffee filters, just to name one example, is probably a niche not everyone would think of right away. I encourage you to just go out there and make a name for yourself. The first one is the Barista and Farmer project which I am participating in. It gives 10 people the opportunity to travel to a coffee farm in Colombia and work there. So few baristas get the chance to go to the origin. Seeing how coffee is grown, harvested and processed with my own eyes will help me deal even better with my roast profiles as my knowledge up to now is only theoretical. I’d love your support, just click on the link and vote for me! At Röststätte we are organizing the second all female latte art throw down in Berlin. It will take place on 2 September from 15:00 during the Berlin Coffee Festival and you are all invited! The first one was such a great experience as it brought women from the local industry together. This is why we wanted to keep on extending this network and encourage women to compete. Another project of mine is the Tiroler Kaffeemeisterschaft in Innsbruck taking place the third weekend of September, for which I am actually practicing right now. I do it just for the sake of being on stage. This is a good example of how seriously I take competing! Even though it doesn’t nominate you for any future competition, I still try to do it in the same way that I would prepare for a world championship. I got sponsors, great coffee picked out and music. My training time is even one month longer than last year. I just really really really wanna win that thing! And of course I will take part in next year’s barista championships in Germany, and hopefully Amsterdam after that. I like the barista competition because it is so much of a show and you are free to show your personality. You shouldn’t underestimate how big the stage is! Even if there are only 30 people in the room, they might turn out to be the most important people in your career. Just out of curiosity, do you have a favourite brewing method? I can’t say because the more you try the more you realize how massive this field is. There are so many different ways of brewing coffee. There is no such thing as the best coffee, but in general, I love how we are so flexible in how we prepare our coffee. Water temp, ratios, grinder settings - it is so beautiful. You never get to the point where you get tired because you never cease to learn. Thank you Nicole for only positive vibes and a great interview! Wish you the best of luck for future competitions! 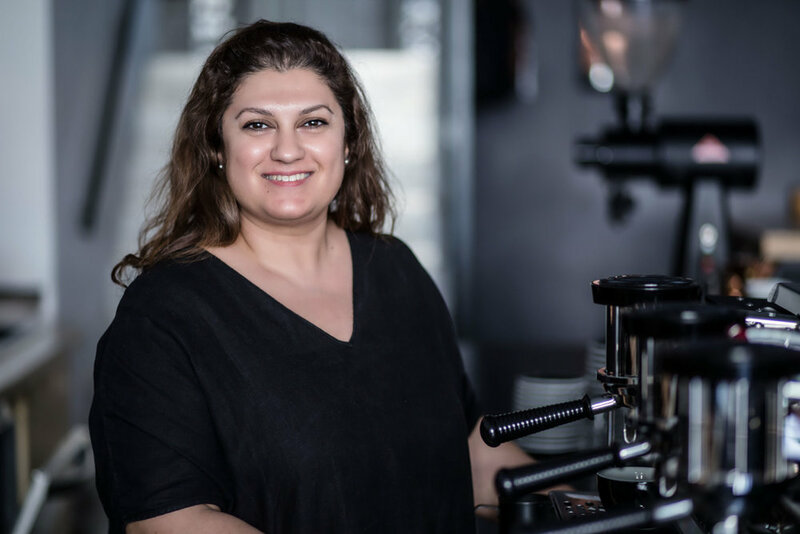 Bara is from the Czech Republic and has already worked in coffee all over the world - including Dublin, Paris, Berlin, Sao Paolo and Wellington. Currently, she is the head roaster at Tres Cabezas. 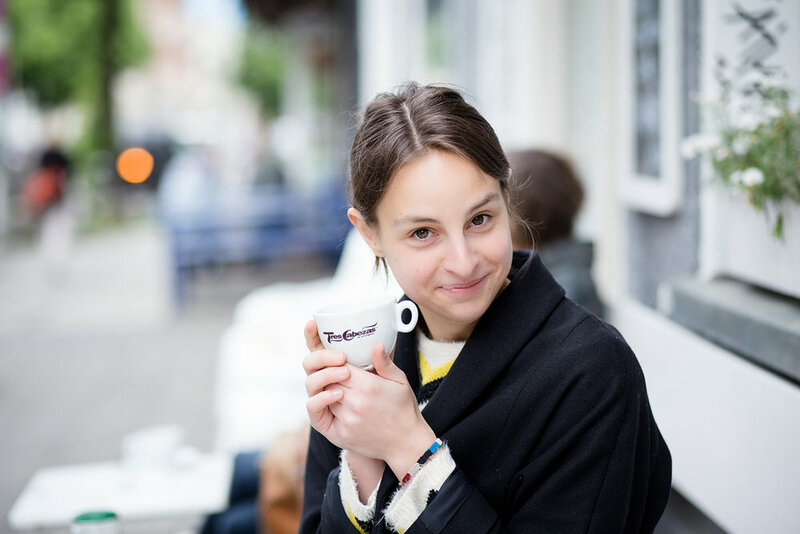 Her passion for coffee is infectious and I hope you enjoy this interview as much as I did! "The smell of freshly ground coffee in the morning – I wouldn’t trade it for anything!" Bara, what triggered your career in coffee? It’s actually very funny and very boring at the same time. I’ve been working in coffee for 10 years and started as a teenager. I loved the atmosphere in the coffee shops and to see the morning rituals of people, such as drinking espresso while reading the newspaper That was something that mesmerized me from when I was a kid. But when I had my first sip of coffee, I couldn’t understand why it was such a big part of people’s life - it tasted disgusting to me. I gained my first work experience in Prague at a gorgeous coffee shop. The delicious menu, the beautiful cups and interior fascinated me. It was Italian inspired, offering freshly squeezed orange juice and strong espresso. I thought all the people working there were the coolest people on earth! There was no specialty coffee at the time but the café was so advanced with two grinders – meaning one for espresso and one for milk based drinks. I started to waitress but was really interested in the coffee side – so the owner decided to give me a shot behind the bar. One of the managers became my trainer, she was pretty hard on me and I was secretly afraid of her. We are still friends today. What's your role at your place of work? I started about a month ago so it is all pretty new. Mainly, I roast, I do the quality control but am very open to get involved with everything. I am still getting to know the people, trying to encourage colleagues to give feedback on my roasting. How would you describe your journey towards roasting? It is not an easy job to get, as there are not as many job openings in roasting as in serving. In my experience some people believe men are more suitable for this position because it is heavy, hands-on work that requires technical skills. But if you love what you do there is always a way to make it happen! Starting from the cup I went backwards in a way, constantly trying to dive deeper – from preparing beverages to calibrating espresso machines, roasting and farming at origins. When it comes to roasting coffee, I was challenged to put myself out there. I heard about a position available at Tim Wendelboe, applied and got invited to a Skype interview. Although I didn’t get the job this helped me to trust in myself and my skills and I was willing to do what it takes to get into roasting! It was patience, persistence and hard work what got me there. After some time, Five Elephant announced an open roasting position and I jumped on the opportunity. After a one-week trial, I finally stood next to a 25kg Diedrich. What makes the coffee shop where you work now unique? What’s the philosophy? I feel at Tres Cabezas people are very human in the way they take care of their staff and guests. It is a workplace where it is okay to say ‘I don’t know’. People listen, they are not afraid to ask for help and acknowledge there are things that need improvement. It’s a very nice and refreshing relationship where both parties grow and bloom. Appreciation is important and commitment is recognized! I can get inspired by anyone, it doesn’t necessarily have to be a person working in coffee. I admire people who stand up for themselves and people who create something with their hands. What about coffee competitions? Have you participated or plan to do so in the future? Not yet. For two years I’ve been thinking about it but I actually really want to. Hopefully next year. A topic that is often being discussed in the specialty coffee industry is the equal representation of gender in competitions. Any thoughts on why we see more men competing than women? In terms of creating an equal work environment in the specialty coffee industry, how could it be achieved? In my perception there are more men visibly working in the coffee industry than women as they speak up louder. There needs to be a safe space for all members of the industry to voice concerns, have discussions and exchange knowledge. Sometimes I feel like there has been a lack of constructive criticism. Everyone’s opinion should be listened to. Making people feel incompetent does not help the industry to advance and it discourages people to perform their best. We should make people feel equally okay about saying: I don’t know’. Also, if during your daily work people constantly override you, it demotivates you from speaking up in the future. The specialty coffee industry is young but also very competitive. I believe knowledge exchange is vital for making the industry advance and flourish. For myself, I see a future in coffee farming, because that’s where it all starts. I already spent half a year in Brazil during the harvest season and learned how complex coffee farming really is. In the future I would love to participate more in sustainable coffee farming projects at different places of origin. Standing in the coffee fields with mosquitos surrounding me in the heat made me realize, I love this! I want the dust! I love espresso and the memory I associate with it from my early beginnings working as a barista. I’d almost go as far as saying I am addicted to it (my boyfriend would confirm this!). While working at the coffee farm in Brazil I was right at the source but with no espresso machine in sight. Torture, if you ask me! In my despair I turned to the Aeropress hoping to find satisfaction in an Aero-presso, but it didn’t quite do the job.